Dips are most often prepared with a mixture of ingredients that complement other foods including raw vegetables, chips, crackers, or toast, which are dipped into the mixture; hence the name, dip. 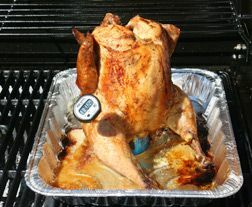 A base for a dip can be prepared with sour cream, softened cheese, mayonnaise, or mashed vegetables with herbs, spices, and other ingredients added to the base to provide flavor, color, and texture. A type of appetizer that consists of melted cheese often combined with other ingredients and served with crackers, potato chips, corn chips, pretzels, fruit, vegetables or other similar foods that are dipped into the cheese. There are a wide variety of flavored cheese dips such as Avocado, Bacon, Blue Cheese, Cheddar, Cream Cheese, Chili, Nacho, or Seafood cheese dip that are popular snacks for parties and events. A Spanish word meaning "cheese." In the United States, the word is commonly used as a name for a Mexican cheese dip as well as varieties of Mexican cheese. A Mexican dish consisting of mashed avocados and a small amount of lemon or lime juice. 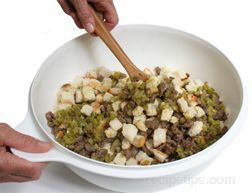 It is used as a side dish, dip, or topping. Occasionally, other ingredients are added such as finely chopped tomato, onion, garlic, or cilantro. Made primarily from a base of sweet corn and seasonings, this condiment is a common addition to many grilled foods. 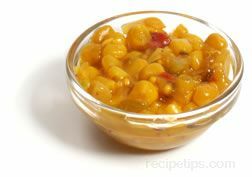 Corn relish is produced as a mild or spicy product that consists of corn, peppers, onions, sugar, vinegar, and various spices combined to create a savory dressing or topping for foods. 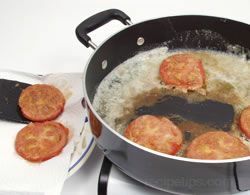 It is typically served with hot dogs, hamburgers, chicken, and fish, or as an ingredient in sauces, and is commonly served as a dip with chips. A food spread that is made from roasted sweet peppers, which can use any variety of sweet pepper as the base for the spread. The red pepper is most often used since it provides a mildly sweet and delicate flavor to the spread. Sweet pepper spread can be served on crackers, breads or mixed into other spreads to enhance the flavor of food items such as sour cream, cheese dips, or cheeses. It can be spread on small slices of French bread and topped with a piece of cheese to make a bruschetta appetizer. Sweet pepper spread can also be added to baked dishes, such as fish or poultry, to add a distinctive flavor. A creamy Greek garlic sauce often served as a topping, a condiment, or a food dip that is commonly prepared with numerous Mediterranean foods. Tzatziki is a white sauce made with yogurt, cream, cucumbers, fresh herbs and seasonings, such as mint, dill, olive oil, and garlic. Served as a chilled sauce, tzatziki is commonly used on gyros, pita sandwiches, dolmades, roast lamb, roast pork or beef, fish or seafood, rice dishes, grilled vegetables, and many other foods. This cold sauce with fresh ingredients adds a refreshing taste to many foods. 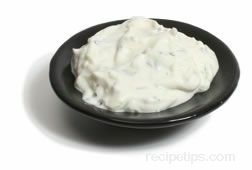 Tzatziki sauce may also be referred to as tsatziki, tzatziki, satziki, satsike, or simply as a yogurt and cucumber sauce. 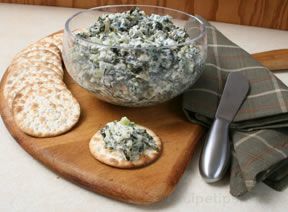 A Greek appetizer that is a dip for crackers or other similar foods. The dip consists of carp roe combined with milk, breadcrumbs, and olive oil. An appetizer dip or spread that is common for use with Lebanese foods. Made from a mixture of walnuts, red sweet peppers, breadcrumbs, olive oil, and pomegranate juice, this appetizer is often served with flat breads or some crumb breads such as pita bread that is warmed or toasted. When presented, the Mouhammara dip is often topped with herbs or pine nuts as a garnish. A popular Middle Eastern dish consisting of chickpeas that have been mashed, olive oil, garlic, and lemon juice. 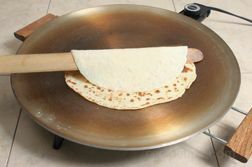 It is most often used as a dip for pieces of pita bread. For even more flavor and texture, a sesame seed paste called tahini is occasionally added and referred to as Hummas bi tahina. This dip may also be referred to as Hommus. A rich creamy paste, made from sesame seeds and sesame oil, which is used to enrich the flavor and texture of many Middle Eastern sweet and savory dishes. It is very similar to peanut butter (except thinner in consistency) and can be made by grinding sesame seeds with light sesame or vegetable oil, a little warm water, and salt. Tahini is packaged in jars or cans and is available made from raw seeds, roasted seeds and with or without salt. It is best served at room temperature and used as a sandwich spread, an appetizer spread, a dip, an ingredient in sauces for topping pasta and falafel, or mixed with onion and garlic seasonings as a salad dressing. Tahini can also be used in making a variety of desserts requiring a nut paste. 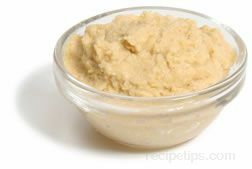 Tahini is a key ingredient for making a hummus dip when mixed with chickpeas, or baba ghanouj dip when mixed with eggplant. 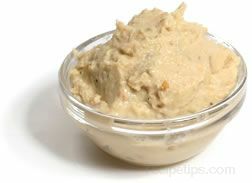 Tahini is also known as sesame butter. 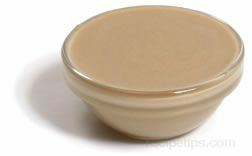 Tahini does not require refrigeration and can be stored for long periods of time in cool dry areas. When stored, the sesame oil may separate from the mixture of solids. This is due to the fact that tahini does not contain emulsifiers to keep the ingredients from separating. To re-mix the contents, turn the can or jar upside down for 30 minutes or so before using. 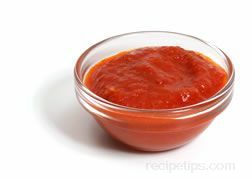 The Spanish term for "sauce," salsa can be a mixture of fruits or a mixture of vegetables, or both that are whole and chopped, which are used to complement the flavor of a variety of foods. The mixture can be fresh or cooked with a spicy flavor that can range from mild to very hot tasting, depending on the spices added. Fruit salsas may include balsamic vinegar, and any of several fruits such as cantaloupe, grapes, kiwi, mango, papaya, pineapple, orange, banana, and cilantro. A typical mixture for vegetable salsas that are red in color may include tomatoes, green, red or yellow sweet peppers, onions, chile peppers, garlic, and other seasonings, such as cilantro. The green (verde) vegetable salsas commonly use tomatillos, cilantro and sweet onions as a mixture for the relish. 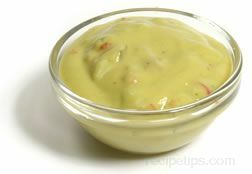 Fruit salsas provide a nice flavor to chicken, fish, and other meats, while vegetable salsas add flavor to snack foods, hamburgers, black bean soups, egg dishes, and a variety of other similar foods. Salsa is similar to another sauce known as picante. Picante is smoother in texture, sweeter in taste and is generally made with fewer spices, while salsa has a chunkier texture and spicier in taste. Typically, salsas vary only slightly in ingredients, with the majority including tomatoes, chile peppers, bell peppers, and onions. Some salsas include corn and black beans for added flavor. When fresh, salsa can be stored in the refrigerator for up to five days. 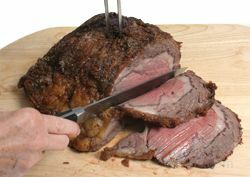 If cooked and kept sealed, it can be stored at room temperature for at least six months however, when opened it can be kept refrigerated for approximately a month. A tomato-based Mexican sauce made up of tomatoes, chile peppers, and onions. 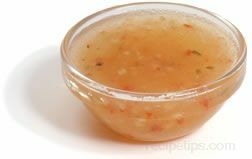 It is a sauce that is very similar to salsa, except thinner and smoother in consistency, not as chunky. Picante is available as a red or green (verde) sauce, either of which can be mild to very hot depending on the spices added. A type of unripened cheese with a smooth texture and a sweet tangy flavor that is produced from milk and/or cream. It is very versatile and is used in a wide variety of food dishes, hors d'oeuvres, snack dips, and desserts, such as cheesecake or cake frostings. Since it is very spreadable, it is an excellent topping for crackers, bagels, and sandwiches. Cream cheese is produced as a traditional version made with whole milk or as a version made with skim milk in order to provide a low and non fat version. The lower fat versions have 30% to 50% less fat while the non-fat has zero fat content; however, the flavor and texture are not quite as rich or creamy as the traditional version. The reduced fat versions are best used as an ingredient in recipes rather than eaten plain or as a topping. Other versions of cream cheese are also available which have been enhanced with herbs, spices or fruit to be used as flavored additions to appetizers and food dishes. Also, cream cheese is available as whipped cream cheese, which is an airy lighter textured version of the traditional cream cheese. Since it is not as firm textured and contains less volume that the traditional variety, it is lower in calories and fat content. Another variety of cheese that is often considered to be a cream cheese is referred to as Neufchatel cheese, named for the town in France in which it originated. Traditional Neufchâtel is made with unpasteurized cow's milk, but when exported is made with pasteurized milk, generally containing a higher milk fat content. 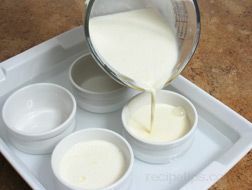 Domestic versions produced in the United States often do not contain the higher fat content cream that thickens and enriches the texture and flavor, and they are typically higher in moisture content. 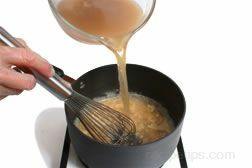 Therefore, to thicken the consistency, domestic versions contain xanthan and carrageenan gums rather than higher amounts of cream or fat content. 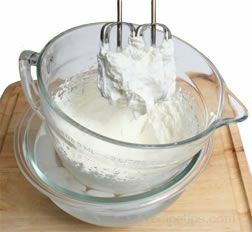 When a recipe indicates use of cream cheese or Neufchâtel cheese, it may be best to determine if it is a French version or the American version in order to produce the intended results. 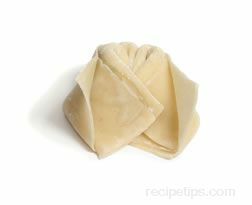 To store, refrigerate and keep it wrapped tightly after opening. Since this type of cheese has a limited life after opening, it should be discarded if mold appears. A number of other cheeses make great bases for dips including ricotta, softened cheddar, and American, but cream cheese is, perhaps, the most popular. 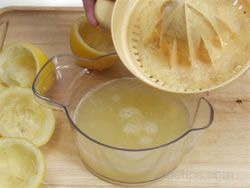 A sauce made with egg yolks, olive or vegetable oil, mustard, and lemon juice or vinegar, and various seasonings. 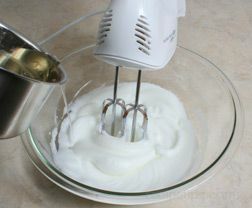 When the ingredients are combined, an emulsion is created. 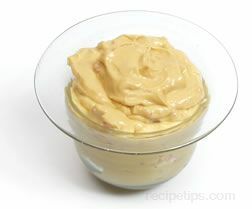 Sauces or dressings that look like mayonnaise but do not contain eggs as an ingredient, cannot be labeled as mayonnaise. Available as a traditional mixture of ingredients containing higher levels of fat, mayonnaise is also available in lighter versions that are considered low-fat and contain lower levels of fat content. Mayonnaise and its lighter versions are generally available in most food stores. 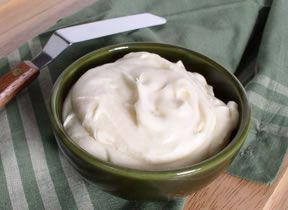 Rich in flavor and creamy in texture, mayonnaise is used as a condiment to be spread over foods such as sandwich breads or crackers, as a sauce enhancer that could be flavored with herbs, spices or bits of vegetables to be used as a dip, as a dressing for salads (when eggs are not used to make the mayonnaise), and as a thickener or base for other dressings. Mayonnaise is commonly made by hand to create a more flavorful dressing that is richer in taste and texture than commercial varieties. 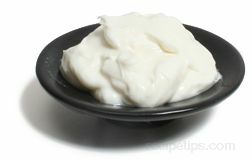 However, mayonnaise made by hand can only be stored for several days in a refrigerator. Commercially produced mayonnaise that has been opened can be stored refrigerated for up to 6 months after opening, while unopened containers can be stored in cool dry areas for periods of time that typically can extend beyond the "use by" date displayed on the label or container. A dairy product, produced from pasteurized sweet cream, which has a thick creamy texture and a tangy flavor, due to the lactic acid that is added. It is used to enhance the flavor of sweet and savory dishes, and is often served as a condiment to be spread topping for potatoes, meats, and salads. Sour cream is not spoiled cream. A generic name given to various plants in the legume family including kidney, navy, fava, pinto, lima, black, red, green, chickpea, and lentil. There are three stages of bean development, based on the maturity of the bean that determines how the bean is used. The first stage is when the bean is immature and the bean (or seed) and the pod are both very young and tender. 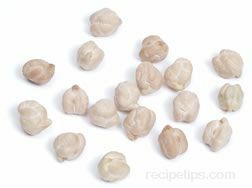 This is the stage when the bean and pod are both eaten, either raw or cooked, and they are referred to as fresh, baby or snap beans. During the second stage, the bean begins to mature. The pod is tough but the bean can be removed from the pod, just like peas, cooked for a short period of time and eaten. Beans at this stage are referred to as fresh-shelled beans. The third stage is the point at which the pod and bean have dried on the stalk and the bean moves freely within the enclosed pod. The bean is then taken out of the pod that is to be discarded, and the bean can then be stored for future use in a variety of food dishes. At this stage the bean is referred to as a shelled, dry shelled, or dried bean. Regardless of the stage in life, all beans have a "shelf life" that should be considered when preparing the beans for meals. Fresh beans, snap or shelled, should be prepared shortly after picking to provide the most flavor. Dried beans can be kept for long periods of time however, the fresher the bean the more consistent the texture and flavor when cooked. Since some varieties of dried beans may remain on store shelves for long periods of time, they may become old and stale as they age, providing a tough and poor textured result when cooked. Beans can also be frozen or canned to lengthen their shelf life. 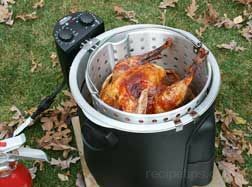 However, both frozen and canned beans should only be kept for 2 or 3 months to provide a good flavor and texture when cooked. As with most foods, it is best to prepare all types of beans as soon as possible since they do not improve with age. 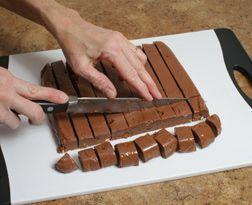 Bases for various types of dips are prepared with a number of different beans. 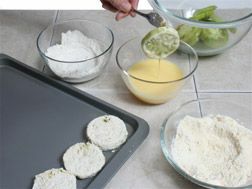 Most of the time, the dip recipes call for the beans to be mashed in order to form a texture suitable for dipping chips and crackers. Among the most commonly used beans in dip recipes are pinto, kidney, and butter beans, as well as garbanzo beans (chickpeas), which are common in a number of Middle Eastern dips and spreads. Refers to any parts of any plant that are edible but do not develop from a flower. The edible parts of a plant could include seeds, nuts, fruit, roots, tubers, bulbs, leaves, or stems. When preparing dips and spreads, almost any vegetable can be used as a base ingredient. Tomatoes, peppers, onions, avocados, and spinach are among the most common vegetables used in dips.